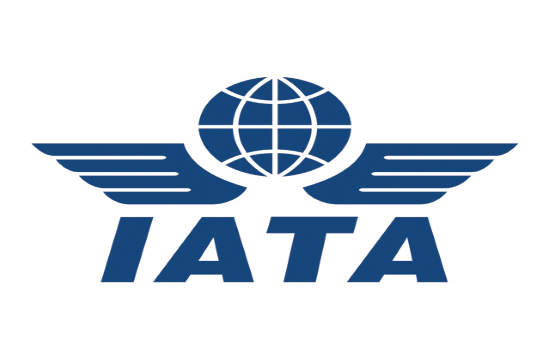 Bucharest – The International Air Transport Association (IATA) urged the Romanian government to focus on aviation competitiveness as a means to strengthen the economy of Romania. In addition, Romania’s Presidency of the European Union gives it a powerful opportunity to push policies for stronger aviation competitiveness across the whole of the EU. The Romania Aviation Day brought together key stakeholders to hear from leading policy-makers such as Dragos Titea (Romanian Secretary of State for Transport), Henrik Hololei (Director General for Mobility and Transport, European Commission), Catalin Radu (Deputy Director, ICAO Air Navigation Bureau), Maria Magdalena Grigore (Romanian State-Secretary, Ministry of Foreign Affairs), Mikolaj Wild (State Secretary in Poland Ministry of Infrastructure), and Romanian MEPs Claudia Tapardel and Marian Jean Marinescu. For States, ANSPs and staff associations to look at how air traffic management staff are deployed this summer to avoid some of the significant delays air travelers suffered last year (Air Traffic Management (ATM) delay in Europe doubled in 2018 and is set to get even worse in 2019). Europe’s airspace infrastructure to be modernized and investments aligned between Airlines and Service Providers. For governments to treat air transport and air traffic management as a truly global business. Europe’s inconsistent ATM Service levels create delays, and haphazard and indirect flight routings, which all lead to wasted time and higher costs for passengers and airlines. The additional fuel burn also generates an unnecessary increase in CO2 emissions. Romanian Air Traffic Services Administration (ROMATSA) and IATA will strengthen their existing cooperation for this initiative, which is aimed at delivering benefits to the travelling public and the wider aviation community, while supporting the economic growth and competitiveness of the Romanian aviation sector. The main aspects of the strategy cover leadership and a collaborative stakeholder approach, airspace management, and technical modernization of the ATM system. Mircea Bostina, Director General of ROMATSA, explained: “This week marks two landmark events for Romanian airspace, that will define our evolution in the decades to come. The new ATM system that became operational on the 8th of April implements new functionalities that increase capacity and flexibility, optimize airspace structure and align us with the latest technological developments. Rafael Schvartzman, IATA’s Regional Vice President for Europe, said: “Romania has a great opportunity to transform its aviation sector if the right policy levers are pulled. Our recommendations are, first, to promote innovative technology and processes to move passengers quickly. Second, to invest in more capacity at airports and in air traffic management. And third, to ensure infrastructure charges are set in transparent consultation with users. If Romania can take these steps, its economic and social development will gain significantly from enhanced air connectivity. Better sharing of information across the European air transport network.